Our working hours are spent chasing those evasive words: listening to them, writing them in steno, editing those same words back into English, and reading with a fine-toothed comb those words again. And when all this is done, the paycheck reflects how efficiently and effectively we have done so. When I first became a court reporter, I liked the idea of being paid in this manner. I knew there was no ceiling to my income: I could improve my writing, streamline my relationship with my scopist, search out that big case with multi-copies, and hope for those witnesses to drawl on for days. How well I did one, two or all of these things would put me that much more in control over my income. The journey forward toward perfection of these points has kept the spark alive for me for twenty-plus years now. There have been challenges of major proportion. The stress of getting across town in rush hour traffic in Los Angeles is enough to wear down my molar crowns. (Some people lay on their horns or profanely yell their throats dry.) And all this happens before the depo even gets started! But it all balances out, as the job satisfaction is immeasurable: The contentment of a completed job knowing it was done well, the adventure of learning about a new subject or suddenly seeing a different viewpoint on an activity already hashed over, meeting professionals of varied walks of life and building relationships with them. How many jobs provide so much opportunity to see the world? We live in a constantly changing, thriving, pulsating society. Our fellow professionals are pioneering new areas in engineering, computer technology, architecture, even creating and venturing into new sciences which clean up and shape our environment, the air we breathe and the food we eat. The stars twinkle, teasing us to explore them. And all of these subjects find their way into the court system and our deposition conference rooms. 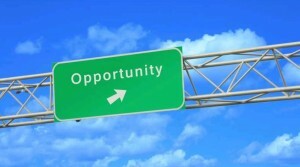 The future is before us, and there is an abundance of opportunity. Much depends on our effectiveness and level of productivity. We can let the challenges overwhelm our spirit and ruin our fun (and income!) Or through dogged improvement of job performance and increasing the value of the service we provide, we can widen and smooth out the highway, bear down on the accelerator, and race full speed ahead toward our goals and personal aspirations. For me and I’m sure for you, the choice is clear. The road towards prosperity and expansion is the only path to pursue. The lessons we learn, the benchmarks we pass, reap future benefits sometimes in unsuspected ways. The future is ahead of us. Let’s enter into it knowing we have a finely tuned engine and a tank full of high octane gas.